Thank Bob for lucky choices! 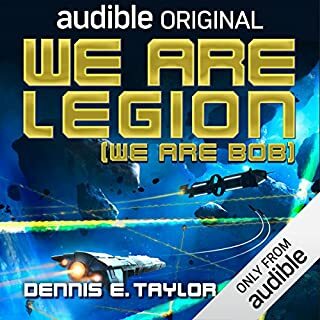 Would you listen to We Are Legion (We Are Bob) again? Why? Damn! I’m still not sure why I decided on this title — I needed something for a 6 hour drive, and Bob fit the bill. Bob is dead, but as luck would have it, not done. Cryogenic, revival, and cloning (well maybe more like copy and paste) prevail. I don’t want to write a too detailed review, but Bob’s regeneration is unexpected, but technically so much more reasonable than cyborgs or actual biologic cloning, and so so funny. This book is situational comedy meets science fiction. And war. And space travel. And aliens. The science was fun. Bob (and Bob replicants) were fun. Heck, even the war is fun (in that way Catch22 made war funny due to its absurdity). This is just an all round enjoyable book. Its light hearted, even when its dealing with genocide, war, and the impending end of the planet. And while chock full of “science”, this book is full of heart. Bob (and his clones) are engineering wizards, but not without soul and conscience. 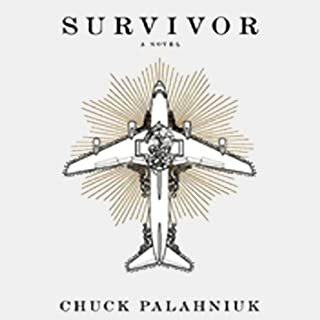 You might think a book full of the same person replicated (after all, this is the Bobiverse) would be unbearable to listen to, but the narrator is AMAZING in his job. He has nuance for each Bob. This book is one of a trilogy. I guarantee you, if you like Book one you will be racing to download the other two in prompt succession. What a satisfying end to a well written and well read trilogy. Recommended highly. Great story, great characters. Gonna miss those Bobs now it’s over. Born into wealthy family, heiress Mallory Edwards honorably marries John Barron to fulfill a family obligation. Although he seems charming at first, she soon discovers that he is a beast of a man. 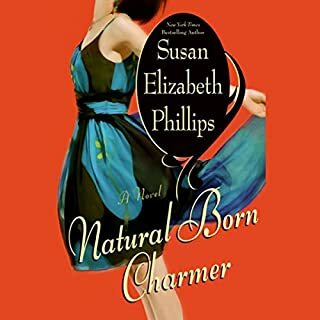 Abandoned on her wedding night, she survives by her wit and resourcefulness until her errant husband's debts became too much for her to overcome. I had a very hard time finishing this book -- more than once I almost gave up. I am not sure if it was because of the narration, but the heroine seemed to whine her way through this book. I was willing to give her some leeway at the start, she is 16 and thrust into a rushed wedding with an unknown boy, so perhaps some whining is in order. But years later, she still is whining. Listen to the sound snippet, Mallory at 16 is pretty much Mallory at 24. As for the love story (afterall this is a romance, so of course they fall in love) -- I couldn't buy it. It seems as if out of the blue the hero is besotted with his wife, cannot live without her, but I wasn't sure why? He wants to be nagged through life? 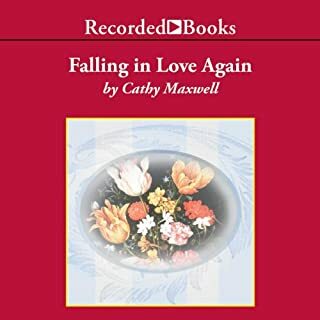 I have enjoyed Cathy Maxwell's books in the past, but not this one. Check out The Marriage Contract, that story had more humour, and the heroine was actually feisty, unlike this book, where the heroine was almost obnoxious. Avoid Abridged, choose the real thing! 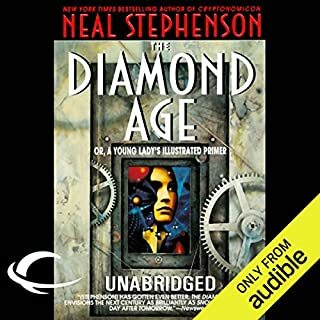 I bought The Diamond Age back in 2001 and have listened to it three times since then -- it is just that much fun! Kudos to the narrator who did an amazing job of the various characters and lines of the story. 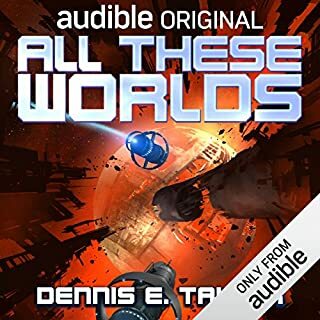 I found the narration some of the best of all the audible books I have listened to. My only gripe about the book is the ending, it all seemed to stop a little too abruptly -- but even that cannot dim my appreciation of the story overall, and on subsequent reading I have actually appreciated the ending for its open-endedness. I am very disappointed to see the push of the abridged versions of both this book and SnowCrash (particularly SnowCrash where the unabridged version is no longer available, a big shame since that is an even better book!). These books create a detailed view of future-society, abridgment will just fade the colour of that presentation. My recommendation is to buy the full-length versions (well, not possible for SnowCrash, but still online for DiamondAge!) and enjoy being absorbed. Lady Cordelia Bannister simply cannot marry a man she has not chosen herself, no matter what her father decrees. So, pretending to be her own companion, she decides to seek out information about her intended by meeting with his secretary, a man who soon beguiles her. But Lady Cordelia doesn't know the truth: the man she can't resist is really her intended, Daniel Sinclair. This is apparently the third book in a series -- there is no need for you to be familiar with the previous books to enjoy this one (I wasn't). The recurring theme is that of eligible men wagering to remain unwed and each succumbing to marriage. This is the romance between American-in-London self-made Daniel Sinclair and his romance with ton-bred Lady Cordelia Bannister. Neither the hero or heroine want to marry, but have been thrust into potential marriage by their business-oriented fathers who see a benefit in the union. 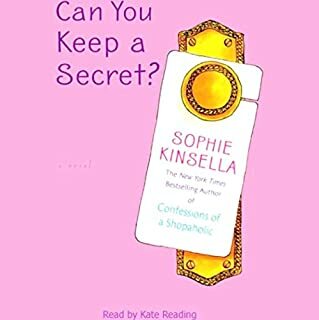 I rather enjoyed the ensuing farce when both hero and heroine decide to masquerade as another person to gather information about their potential intended, and perhaps even to wheedle out of the unwanted commitment. Unfortunately it seemed to go on for too long, and when it resolved it was all a little too pat and a little rushed. The writing was occasionally lazy (repetitious vocabulary), but these lapses were redeemed by some humorous dialogue which kept my attention. I also appreciated that our heroine was smart and independent. I felt a little indignant on her behalf for that being misinterpreted as spoilt and selfish by her family (in particular the male members), but such were the times. The narration was fairly good -- although the higher pitch voice of the American hero took some time to get used to, almost effiminate, which was a little disconcerting. I feel this book was almost on the verge of 4 stars, but sadly never quite lived up to potential. I will give this 4 stars, but with the reader-beware that it is at best a 3.5 (but one cannot issue half stars). That said, that puts it above a number of titles I have listened to recently! 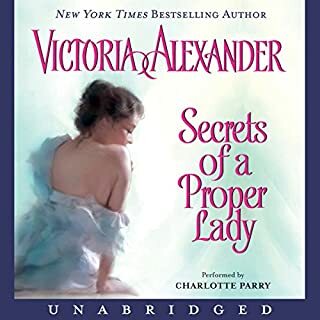 For readers of Ms Alexander's books, there is a charming little epilogue that took me awhile to understand as I am not familiar with her titles -- it is a imaginary tea party with the author and her past characters. A cute little thought-scape. A successful horse breeder and self-proclaimed rake, Harry Lester samples women like wines. But after having his heart trampled upon by someone he actually loved, he has no intention of falling for a woman again, let alone be ensnared by the trap of marriage. Now, with a large inheritance to his name, Harry knows that he'd best start running from London's matchmaking mothers and widows. I almost gave up on this book, but since I actually paid for it (ie not a credit) I felt bound to finish. It wasn't that the story was terrible, it was just pat and predictable. It seemed to take forever for the story get going, so long I almost didn't care what happened to the characters, I just wanted the book to end. The writing seemed lazy with repeating phrases and vocabulary. There were a couple amusing scenes, but I had to listen to a lot of drivle to get to them. As for the rake and his reformer, the romance between them was rather aseptic. The potential for passion was there, but it all seemed to fizzle with the exception of a token couple of romance scenes. Ms Chalfant does add to the reading, by characterizing her voices, but at times her accent was grating. Most listeners will probably not be bothered, but if you are very familiar with British accents you may occasionally cringe. Not to take away from her talent, but I have to wonder, is it really that hard to get actual British born narrators to read British based historical romances? I give this 2.5 stars, and an additional half-star for Ms Chalfant's attempt to make the characters sound interesting. It did deliver a standard Regency romance. If that is enough to make you happy, then buy away! But if you like a little substance to your plot, then steer clear of this one, there are more engaging historical romances out there. This isn't great literature, but it is a nice, fun, even occasionally laugh-out-loud, romantic read. A little predictable, particularly if you have read SEP before (in particular to 'This Heart of Mine', which I do NOT recommend reading too close to this one). But that said, the book delivers what one expects: guy and girl at odds (humorous situations occur), guy and girl work through personal baggage, guy and girl get together. Happy Ending. Some laughs, some quirky secondary characters, and you have an SEP novel. This is part of her series of books with heros from a football team. These guys are buff and hard on the outside, but soft and sweet on the inside. Kind of cute. For the record, I don't like or watch football -- no matter, thankfully an appreciation or understanding of football is NOT required to enjoy this contempory romance. And thankfully, no dumb jocks. Our herione is a committment phobe, who is perhaps a little more loose-screwy than I usually like to see in a leading lady -- but she is an artist, so I will mark it up to 'artistic temperment'. I decided to buy this book after listening to the free snippet. It is a pretty fair taste of both the narrator, and the entire style of the novel. Give the sample a listen, if you think the snippet is funny and engaging, you will likely enjoy the book. This is another installment in the Bridgerton family series. You do NOT have to read the preceding books to enjoy this book. It stands alone. 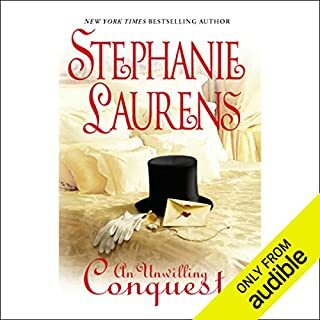 This is probably one of the weakest of Ms Quinn's books, who I have come to count on for witty repartee (Audible, please publish her earlier books). There are some moments worthy of a laugh or two, but not to the usual level. I actually bought this in paper quite a while back, and even a mediocre Quinn book shapes into a decent historical romance. But obviously it was not that memorable, since I bought it again on Audible as I couldn't remember reading it. Our heroine is intelligent and strong (although the way she is described, she borderlines being a shrew) from a loving and large family. Our hero is a reforming rake, with a seriously dysfunctional relationship with his nasty father. Hero and Heroine are thrown together while attempting to solve a mystery (the mystery was not that engaging, but that is fine, I didn't buy this for the mystery). There is the holding back of secrets, that impedes the relationship between our hero and heroine, it is eventually (of course) cleared up. The story was stronger at the start, a little rushed at the end, their relationship happened a little too fast, but overall it was a fine romance. 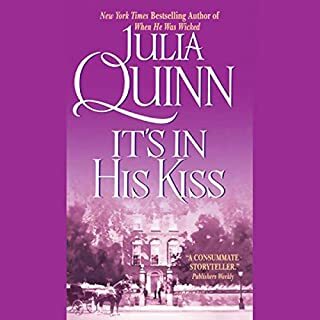 This book is not Julia Quinn's best, but still a solid, albeit a little predictable, historical romance. It gets 3 stars (3.5 stars for the parts that make me laugh/smile). The narrator pushes it to 4 stars (I am going to look for more from Mr Prebble!) Recommended.